No factory discounts. Don’t expect shopping in brand stores to be cheaper, as in most cases you can buy the same product at a lower price in a supermarket. Epernay vs. Reims. Epernay is smaller and has less offers for an accommodation, but you’ll enjoy it much more. Consider staying in Epernay, not in Reims. Allow one day to visit Reims (it’s just a 1 hour drive). In Epernay you’ll find Moet and Dom Perignon (from the same vineyard), Georges Cartier (talking about it below), and some other lesser known brands. In Reims you’ll find Veuve Clicquot, and only a 10 minutes’ walk from it is the colorful Pommery vineyards. Tours. Tours to Moet and Veuve Clicquot vineyards need to be reserved in advance, but a small group of 2-3 persons can normally join another group. Don’t expect your guide to speak good English, and don’t expect to see something extraordinary. 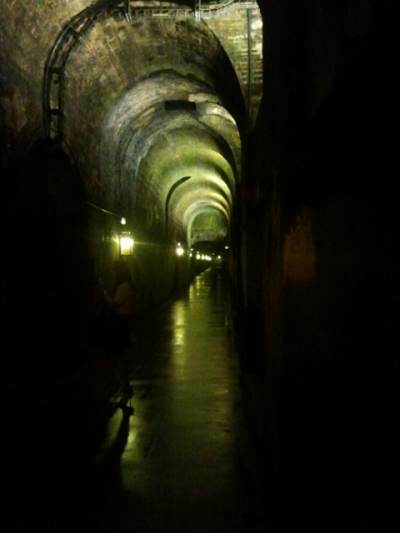 The champagne production process is more or less the same, as well as wineries, still it might be a good idea to have a winery tour to learn a little bit about the region. Visit lesser known wineries. In Epernay there are some lesser known Champaign brands. It makes sense visiting them for a better and less touristic experience. For example, Champagne Georges Cartier is just a 2 minutes’ walk from Moet. Ask for specific details at Epernay’s Tourist Office, where they often do free tasking for visitors as well. Parking in Epernay. 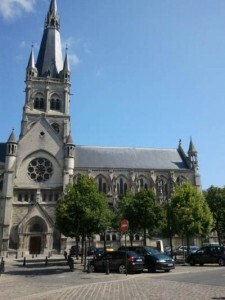 If you decided to visit Epernay from Reims, then point your GPS to “Pl. de la Republique.” There is a big parking there. Not only Champagne region. Near Champagne in Burgundy, another known brand of sparkling wine is “Cremant de Bourgogne,” which is produced by house Veuve Ambal, so you might want to plan yourself a visit with them as well.